Construction of a $260 million fix to the two-mile stretch where the congested 57/60 freeways converge begins in January, said transportation officials at Tuesday’s kick off. This stretch of mingled freeways, dangerous lane configurations and heavy truck traffic was ranked No. 1 for delays and truck accidents in California, and No. 8 in the nation by the American Transportation Research Institute. 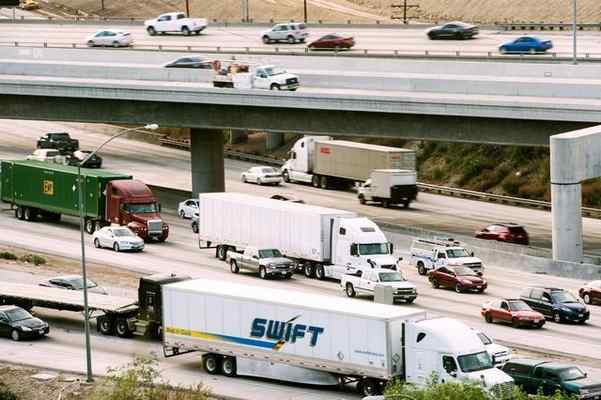 Caltrans ranked it in the top five most congested freeway interchanges in Los Angeles and Ventura counties. In the last three years, 250 trucks were involved in accidents on this stretch of the freeways, said Rep. Ed Royce, R-Rowland Heights. Truck volume reaches 26,000 every day, a number that planners say will increase to 44,000 in 2035. Today, 356,000 vehicles travel through the convergence, costing drivers three hours of delays during peak hours. Because the 60 Freeway carries trucks from the ports of Los Angeles and Long Beach to warehouses in eastern Los Angeles and Riverside counties, as well as the entire United States, the project has attracted attention from Washington and local transit agencies worried about delays in goods movement. City of Industry committed $35 million for planning and construction, the Los Angeles County Transportation Authority (Metro), $22.7 million, a federal Transportation Investment Generating Economic Recovery (TIGER) of $10 million was awarded last year by the U.S. Department of Transportation. The federal grant is so rare, the 57/60 was one of two Southern California projects to receive a TIGER grant last year. Nearly 1 million commercial and personal vehicles drive through Confluence (SR-60 & SR-57) every 3 days. Inadequate weaving distances result in long delays and high accident rates. Caltrans recently ranked the Confluence as the #1 congested freeway segment in District 7 (#3 in State). Accident rate in this area is higher than the State average. Anticipate 10-12% increase in traffic over the next 20 years. Estimated $375 billion worth of goods move through the Los Angeles & Long Beach ports each year, of which, 77% of containerized goods are consumed outside of the Southern California region. Traffic congestion regularly delays about one-fifth of commercial trucks in the region. Unpredictable traffic congestion results in increased unreliability of commuters and goods, and delays can increase the cost of shipping by 50% to 250%.